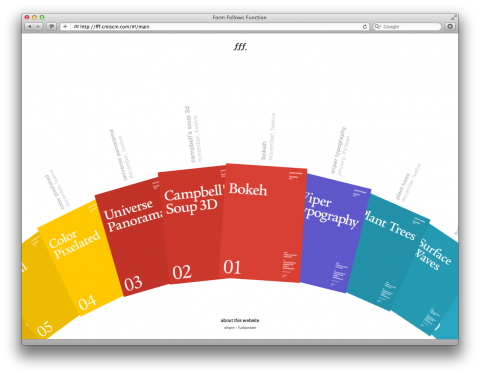 Interactive Developer Jongmin Kim’s Form Follows Function is a collection of of interactive experiences. Each experience has a its own unique design and functionality. Everything’s created in HTML5, which means the site works well on both desktop and tablet. That’s fantastic. I particularly enjoyed Surface Waves.